*Kill Switch by Gordon Bonnet. Price: Free. Genre: Science Fiction Adventure of the Day, Sponsor, Adventure. Rated: 4.8 stars on 39 Reviews. 378 pages. ASIN: B00VD7NISU. *The Far Side of Silence (Deal, Not Free) by Robert B. Marcus Jr., Kim Franks Richardson. Price: $0.99. Genre: Action & Adventure Deal of the Day, Sponsor. Rated: 4.6 stars on 21 Reviews. 376 pages. ASIN: B00ENOVQSY. *Reversal of Fortune: The Ducati Op (The Fortune Chronicles Book 0) by Kathleen McClure. Price: Free. Genre: Science Fiction Adventure of the Day, Sponsor, Steampunk, Good Solid Science Fiction. Rated: 4.9 stars on 10 Reviews. 26 pages. ASIN: B01M2YIUV6. *The Far Side of Silence (Deal, Not Free) by Robert B. Marcus Jr., Kim Franks Richardson. Price: $0.99. Genre: Medical Thriller Deal of the Day, Sponsor, Political Thriller, Action & Adventure, Political Suspense. Rated: 4.6 stars on 21 Reviews. 376 pages. ASIN: B00ENOVQSY. **The Brotherhood of Dwarves (Deal, Not Free) by D.A. Adams, Bonnie Wasson, Sherrie Shuler. Price: $0.99. Genre: Fantasy Adventure Deal of the Day, Sponsor, Epic Fantasy. Rated: 4.2 stars on 107 Reviews. 231 pages. ASIN: B01JSGJII6. *Invader Within: Year One of the War (Sky Knights Book 2) by Cathleen Maza. Price: Free. 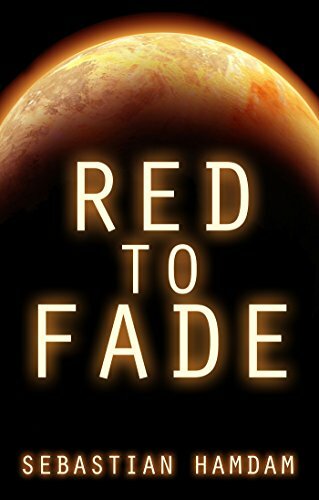 Genre: YA SciFi of the Day, Sponsor, Adventure. Rated: 5 stars on 1 Reviews. 84 pages. ASIN: B01B3U0C0I.